Our first sensor node have now been completed. It is a temperature sensor node that will measure the temperature of a body part, for example the biceps or thigh. 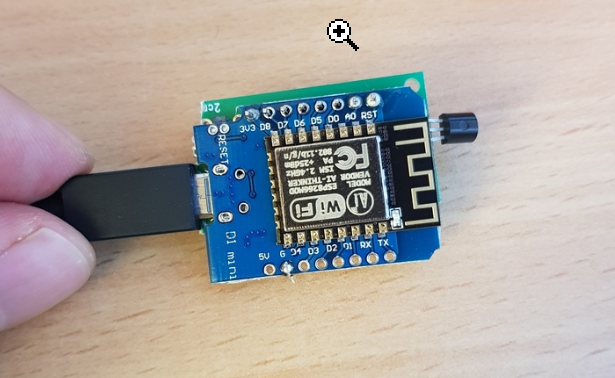 A TMP 36 is soldered to a small piece of perfboard, and we added an ESP8266 that will send the data over WiFi with MQTT. It is a simple solder job, but two techniques was utilized. 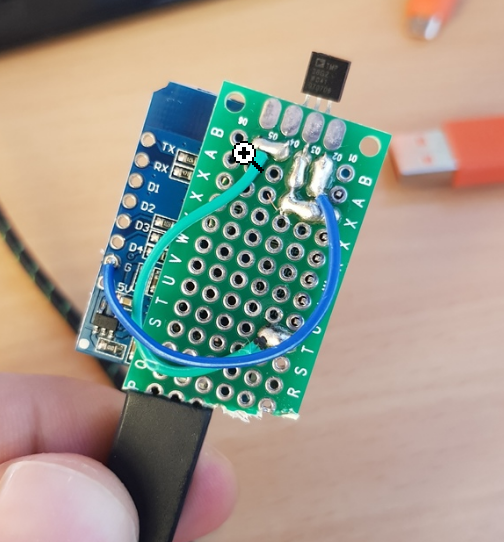 On two of the pins from the temp sensor, wire was used, on the third a a solder trail was used because of the short distance. It would have made it more difficult to use a wire there. The data is sent over MQTT, and will hopefully soon be displayed on our dashboard that is in development. 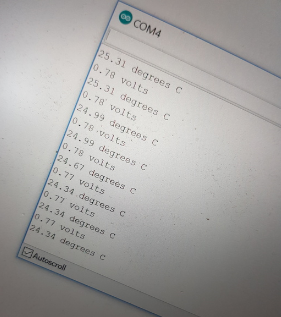 This the temperature data this node sends out will show the temperature of the muscle that it is attached to and can be used along side other data we are planing to collect to show the efficiency of the exercise that is being performed.